Throw in some coffee, orange juice, and perhaps a Mimosa (which I did!) and you’ve got a satisfying feast for a crowd in just about an hour or so. 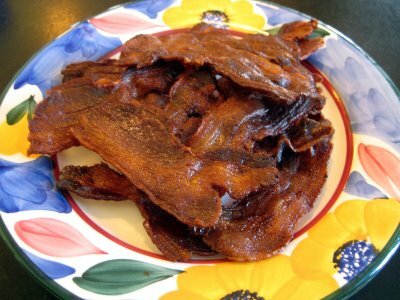 Let’s start with the bacon. Forget stinking your house up and creating a grease bomb on your stove. Lay the pieces flat on a nonstick Silpat liner or aluminum foil and bake it in the oven along with the tarts (or on its own) until the desired level of crispness. 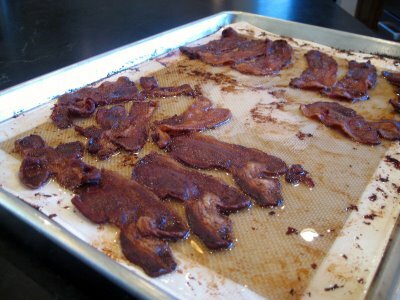 This bacon filled the pan when I first put it in – you can see how much fat melted off as it cooked! Drain it on paper towels then serve it on a pretty platter. And bacon doesn’t need to be smoking hot. This batch was devoured at room temperature! Next, the tarts. 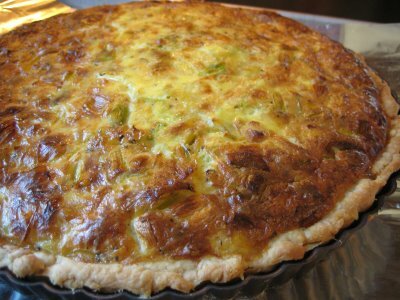 I won’t run through the recipes here, but check back for a post with some savory tart ideas. The bottom line is they are easy to make, can bake while you shower, and are always a hit. Finally, the fruit salad. I start by segmenting oranges, because they look prettier in the bowl. 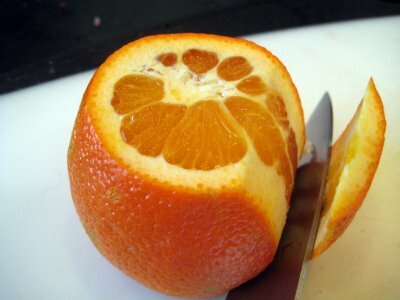 Lop off both ends deep enough that you can see the segments, then use a knife to cut away the peel from the side, making sure to get rid of the pith but not take too much of the flesh. 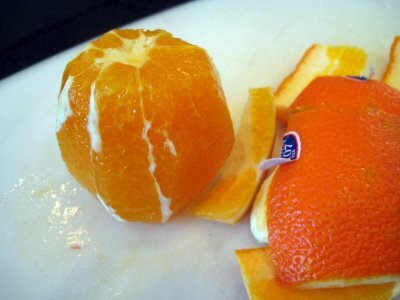 When you have all the peels removed, hold the orange in your hand and wiht a small paring knife, but along each segment on each side in a V-shape to sut the segment away from the membrane holding it. 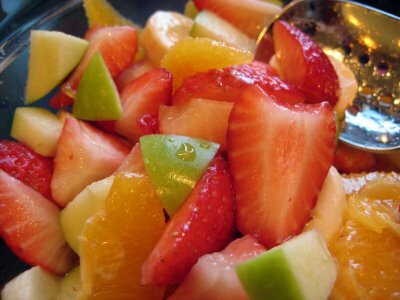 Toss together with your favorite other fruits diced up and you have a simple fruit salad in minutes. 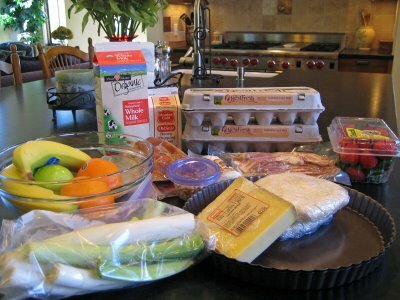 Put it all out on the counter along with plates and silverware and let the gang dig in. They’ll think you slaved for days yet you’ll be rested and ready to enjoy the meal with the others! Interesting that you didn’t feel it was necessary to add muffins or rolls or croissants or quickbread or anything. And you’re right. Bread isn’t necessary. Your brunch seems wonderful. Linda – I always feel like the crust of a tart stands in for toast or a muffin. But it could also be that I had some zucchini bread in the freezer and just forgot to mention it!